In today’s digitally-focused world, a website is necessary — and often even critical — to the continued growth and success of a business of any size. Without your company information, product and service descriptions, and access to communications, many B2B and B2C customers are likely not to notice your presence in the industry. Wix and WordPress are arguably two of the most popular website building platforms used worldwide today. At their most base levels, Wix is a cloud-based web development tool (not an open source platform) that allows you to create websites with simple, online drag-and-drop tools, and WordPress is a complete open source development tool that’s jam-packed with both blogging and content management (CMS) capabilities. Both have their own benefits and drawbacks, but what it really boils down to is what’s right for your own needs and goals. We put together a complete list of pros and cons for each that looks at the setup and use, flexibility, feature set, design capabilities, cost, and extras (like plugins and extensions) to see which solution will work right for you, your business and your bottom line. Easy to Use: Wix has a visual, intuitive and user-friendly interface that utilizes drag-and-drop functionality, making it fast and painless to design, modify and publish your website. After signing up, you are shown pre-made templates based on your selected industry category/subcategory to make things even more simple and refined. Auto-Maintenance: Wix doesn’t open its platform to outside developers, as they control every part of the platform. What this means is that they manage updates and maintenance work for you – perfect for those who prefer this type of hands-off approach to site maintenance. User Support: Wix offers access to a dedicated support team 24/7, as well as organized tutorials and helpful videos for getting started. You can contact them with any questions, any time and receive a direct response from a Wix support member. Great for Beginners: Starting up on this platform is very simple to understand, while allowing you to achieve amazing results – no coding required. Quality Control: Because Wix is a paid service, it comes with benefits like testing and QA of the apps, plugins and other tools offered. Cost: Wix is not an open source development tool, and not available to use for free. With monthly and yearly plans that include different features, it can be limiting for those with budgetary restrictions. Plugin Limitations: Wix offers what we call exploration without extension. While they offer plugins and extensions for websites, you cannot modify the code to fit your specific needs and there are only about 200 apps to choose from. No Custom Domains: If you’re looking for a completely customized domain name, Wix will not let you do so for free. Poor eCommerce: Wix does offer eCommerce capabilities and support, but only included with their higher paid plans. Wix Branding: If you’re interested in trying out their free plan, your website will automatically include advertisements and branding for Wix itself, which can potentially look unprofessional and be distracting for visitors. No Cost: It is free! As an open source platform, WordPress does not charge for use. Your costs will depend on your hosting package, meaning that you’ll have to find, pay for, and setup your own hosting, but choosing to do this can save a lot of money. Simple Updates: WordPress is CMS tool that gives you the power to update your site without the need of involvement with a developer. Basic sites can be set up with access to all pages (including text and images on each page), and there are many ways to set up custom modules which can easily be viewed and edited once in place. Lots of Extensions: Right off the bat, WordPress offers over 47,000 plugins spanning every area of functionality, all of which can be extended even further with a bit of custom code. 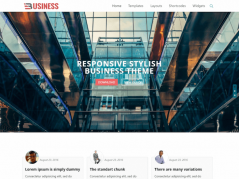 Customizations: WordPress offers thousands of free (and paid) website design themes that you can easily customize as much as you want, without any restrictions, to get the look and feel that you desire. Documentation: With millions of users everywhere, WordPress has developed how-tos, tutorials, support forums and guides for just about everything, so you can learn how to do some incredible things with your site. SEO: WordPress comes with full access to some powerful SEO plugins to enhance your marketing efforts. Allowing these plugins (like Yoast SEO) access to your post editor, you can easily add keywords and see the effectiveness of your SEO for that page. Flexible eCommerce: There are many different plugins and extensions specific to eCommerce integration that are available to install and use freely, making it simple to set up a powerful online store. Custom Domains: WordPress allows you to host your site in a custom domain, so you can choose just about any (available) domain name you can think of! 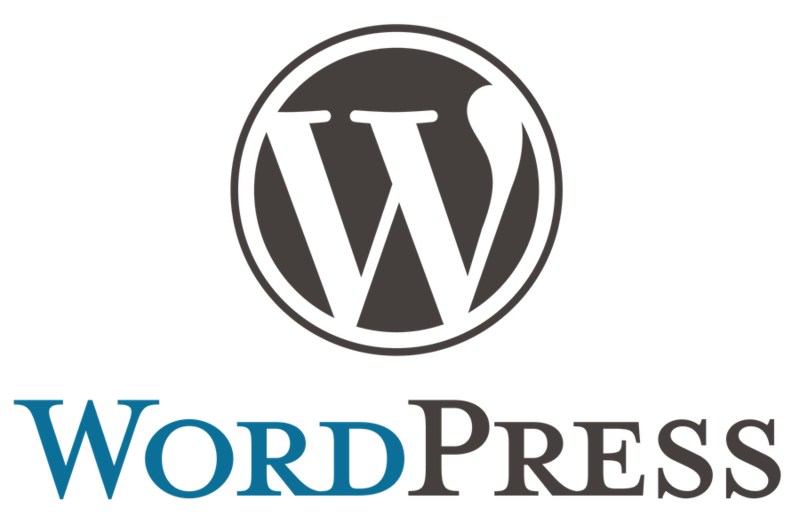 Built-In Blog: WordPress started out initially as a blogging engine/platform. While the open source tool has changed considerably since the beginning, blog capabilities are still at its core. Learning Curve: In terms of ease of use, WordPress is much more difficult to grasp. Non-technical users can struggle with getting started without the help of skilled, knowledgeable developers. Understanding the complexities will put you in a much better place to take advantage of flexibilities, however. No Full Ownership: WordPress is free and open source, so it can’t be owned. What this means is that future developments for WordPress (or the effects they might have on your own business’ website) cannot be controlled. Frequent Updates: While it allows for updates without coding needed, it’s necessary to keep your website up-to-date with the latest versions of WordPress, plugins and themes frequently, which can be a drawback. Complex Page Builder: By default, WordPress does not come with a built-in drag-and-drop page builder, which can make things more difficult for the less tech-savvy. However, there are plugins (like Visual Composer) that will enable you to do just that. 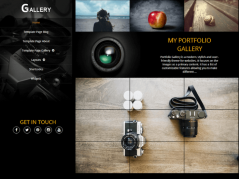 Tricky Custom Layouts & Themes: WordPress offers many basic themes and layouts to choose from. But, if you don’t want your site to look like everyone else’s, it isn’t the best option. Making a truly custom website that fits all of your needs requires a certain level of development know-how and understanding of PHP language. User Support: Because WordPress is an open source development tool, it has no official Support Team to tap into. While there is a large community forum for help, it’s unfortunately not managed or organized very well and can lead to serious information overload. Quality Control: Standard with other types of open source tools, the plugins and extensions offered through WordPress can often be un-tested, and some could prove problematic for your website. Wix and WordPress are both great ways to build a website for your business, but the benefits, drawbacks and differences are key to deciding which path is the best for your needs and goals. 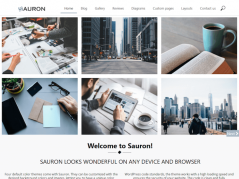 With the incredible ease of use and support provided by Wix, and the powerful flexibility and customization of WordPress, what’s best for one person or business may not be the best for another. And you are willing to pay for a plan to keep everything going, we suggest giving Wix a try. And you don’t mind the complexities behind it all, WordPress may be the perfect fit.